One of the number one questions I hear the most in all my responsibilities at the gym is “How do you set routes?” or “Do you have pre-made paths that you create?” While my own path hasn’t quite been determined, one of my many choices is continue on to become a professional route setter. 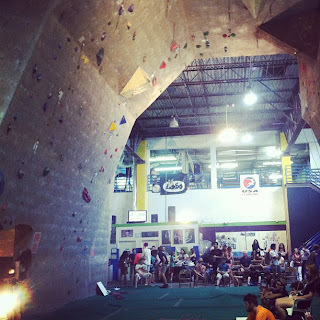 I was fortunate to be invited as an intern to set this past June at my first USA Climbing sanctioned Divisionals held this year at X-Treme Rock Climbing Gym in Miami, FL. This article will be a first hand look into the chaos of setting a onsight competition and my own personal learning experiences as a route setter and even as a person. If you know nothing about routesetting, hopefully I can clear some things up! First, let me explain what occurs at an onsight competition. For my Aiguille readers, we haven’t seen too many onsight competitions, but we have done this format most recently when we have hosted a finals round during both our Dead Hang Bouldering Competition and our CCS Regionals Competition, but there’s a lot of differences and it’s definitely a long day. 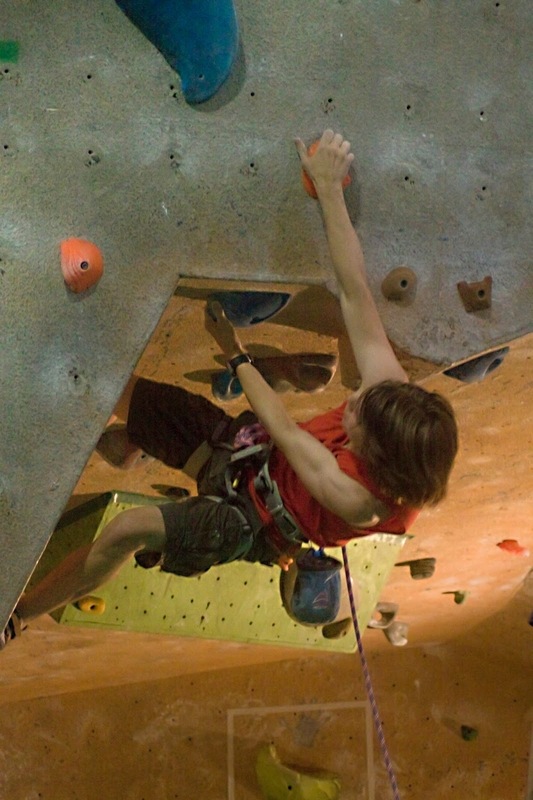 The overall concept of an onsight competition is that the competitors cannot see each other climb before their turn to attempt the route. There are multiple youth categories based on age, and they will have predetermined routes specifically set for them. Competitors will check into isolation, an area blocked off with walls to warm up on, but out of view of any other climbing. For the qualification rounds, all competitors from each category will be brought out together and will watch a demonstrator climb the route so every competitor learns the beta from the same climber. They will be brought back to isolation and one by one will attempt the route. Those that make it to finals will go through the same process however there will only be a preview of the finals route where they can only discuss the route amongst themselves. Whoever climbs the route the farthest wins. Got it? Good. I arrive in Miami (after flying back from Colorado the night before), needless to say, a little exhausted, to meet the rest of the setting crew, including Corey Ryan, head setter at X-Treme, Ray Stacey, GM and route setter at sister gym, On The Edge, route setter Aaron Davis from The Edge in Jacksonville, and our Chief Routesetter, Molly Beard, one of the most well-respected and highly ranked female routesetter in the nation. 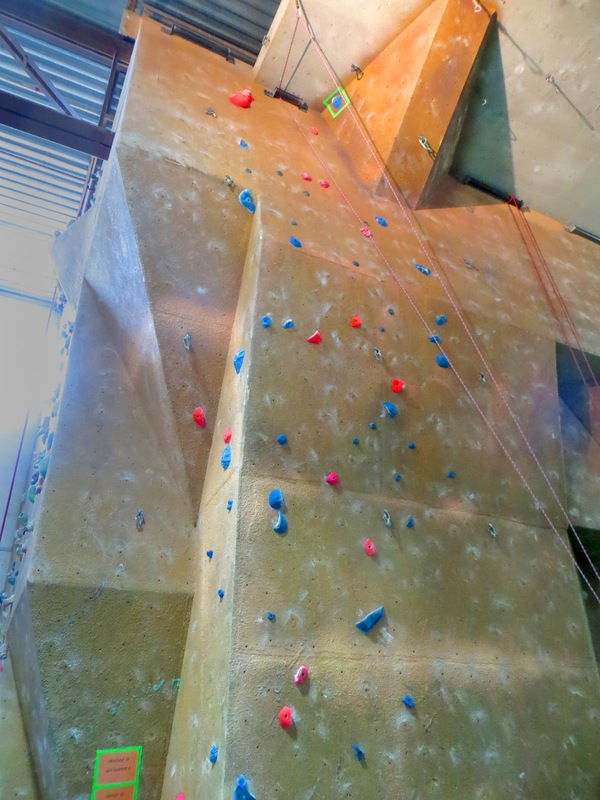 If you have never been to X-Treme, the warehouse feel is very similar to Aiguille, but with a much more exposed walls for lead in different areas. The most obvious and pronounce feature at X-Treme would be its 45 foot arch, allowing climbers to prove their skills on roof, not something many Florida gyms have to offer. After a quick breakfast snack, introductions would be quick before we were given our tasks and off we went. Day one is dedicated solely to our finals route; although all routes are important, the finals route would be stripped before qualifiers and would go up the night before finals, leaving little time for adjustments, but would require a lot of attention. Each setter was assigned two youth category for their finals route. Mine would be male and female Youth C, a very diverse category of heights, which always make setting more interesting. Not only was my responsibility to set a specific grade, which was 5.13a, but I had to make it perfect for those shorter and taller. Being on the short side, I figured I would be about the height of the tallest Youth C competitor, which made my setting experience a little easier to gauge fair movement. As I come from the Mercer School of Routesetting, I paid careful attention not only to the moves, but the aesthetics and hold selection. One of the most exciting things I found about setting at a different gym is seeing a brand new collection of holds, some I haven’t used before. I used a variation of red, orange, and tan holds for a warm palette with holds from E-Grips such as their Pure Power Pinches and Remarkable Rock Scoops, and ETCH's Egg. Any competition style route should be progressive, starting easier and getting harder to, in the nicest way possible, make people fall at different points of the route to break ties. My route would start to the right, traversing left along a section of technical mini jugs on a flat wall, around the corner into either a burly gaston, or reachy cross, depending on the beta that the climber read. A few crimps (that were designed to be feet, but I’m evil), would get you to the first Power Pinch and a very static move to cup the top of the big red Egg. Past this, you would zig zag back across the wall on a powerful section of Rock Scoops to the arete and to the burly cross (my favorite move) to the fattest of the pinches. Continuing upward, you would eventually come across a few more scoops that would test your compression skills and powerful gaston to the finish. As a setter, you want your routes to be tough, but fun and memorable. While there were no showy finals tricks for presentation purposes, I was satisfied with its technical simplicity. That is until the day of finals. We would tick (mark the hold position and bolt hold with a marker) our routes and strip them the next morning, only to put more routes up in their place for the qualifying round. 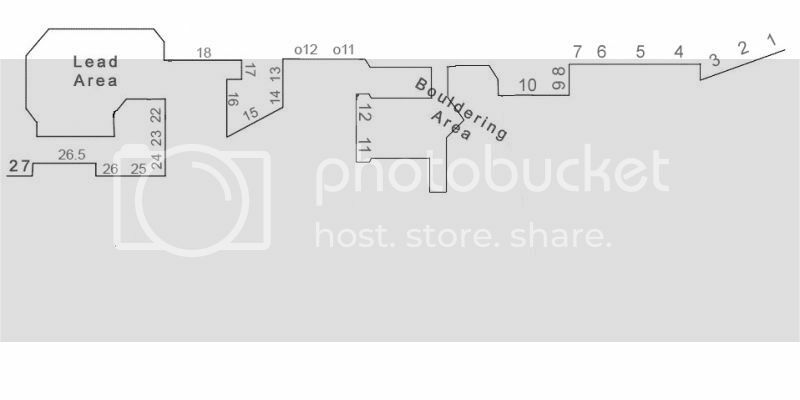 I would be assigned two more routes, one a Qualifier one 5.11a for Youth D boys and girls, and a Qualifier two 5.12b+ for Youth B and Junior girls, which would be the biggest challenge for me all week. Again, hold selection was very important to me. I found holds that inspired me, and went off of those colors to create a visually pleasing route. 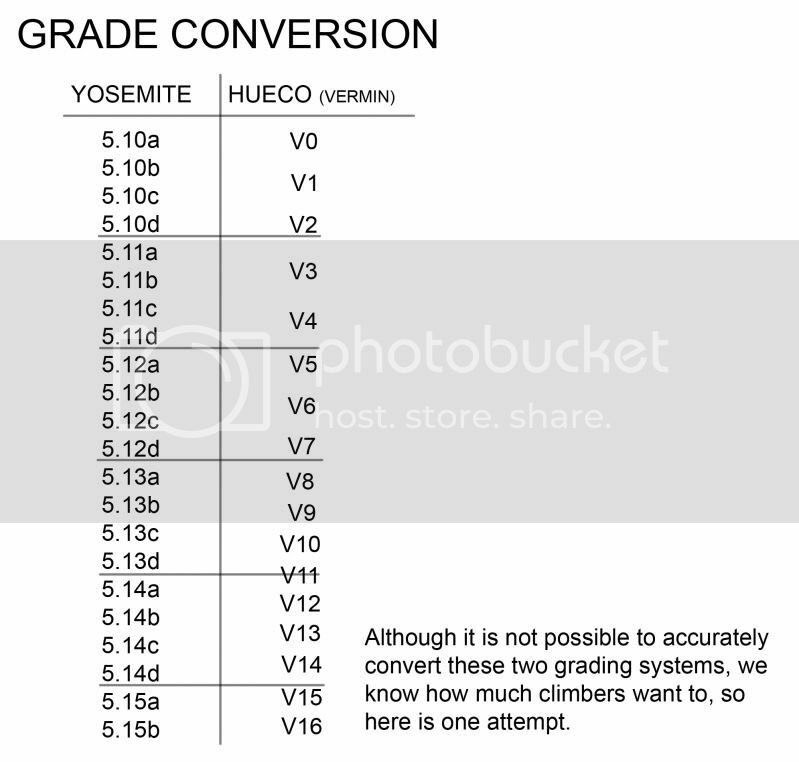 I knew that my 11a would go up quickly; I love setting for little kids, and being that I can actually climb a route that grade without falling gave me a great amount of confidence in it. I would bounce back and forth between both routes, depending on what was going on at the time, who was using which ladder. The 11a would be pink and blue, bright and contrasting with holds from all different manufacturers, but from memory, I believe many from SoIll. I foreran it with Molly and was shocked to find that I had actually set it to hard. I learned that with a Youth D qualifier 1 route, you want almost all of them to send the route, which took some pressure off because, I didn’t have to make it so progressive that I needed to break up the pack. Qualifier 2 would end up being one of the most difficult routes I’ve ever set in my life, from the mechanics of the route, to the actual rope management. My route was to be in the arch, a gradually steepening overhang that would eventually see a roof section. At Aiguille, in order to set up my rope, I would simply climb up the back and set my ropes from there to set lead, but with the arch, there was no way to do the same. It took what seemed like hours, after borrowing gear to help me make my way and receiving quick instruction, to make any progress on the wall. Slowly but surely, the route went up, but not without getting my ascender stuck in a quickdraw or getting stuck where I couldn’t unclip my slings. My route would consist of an array of green and red, starting with a zig zaggy bunch of jugs, pinches and crimps to get the pump started. Then, encompassing the volumes already on the wall, I would use E-Grips’s new Horse Pens Sliders up to the big volume which would take you to the boulder-like section. 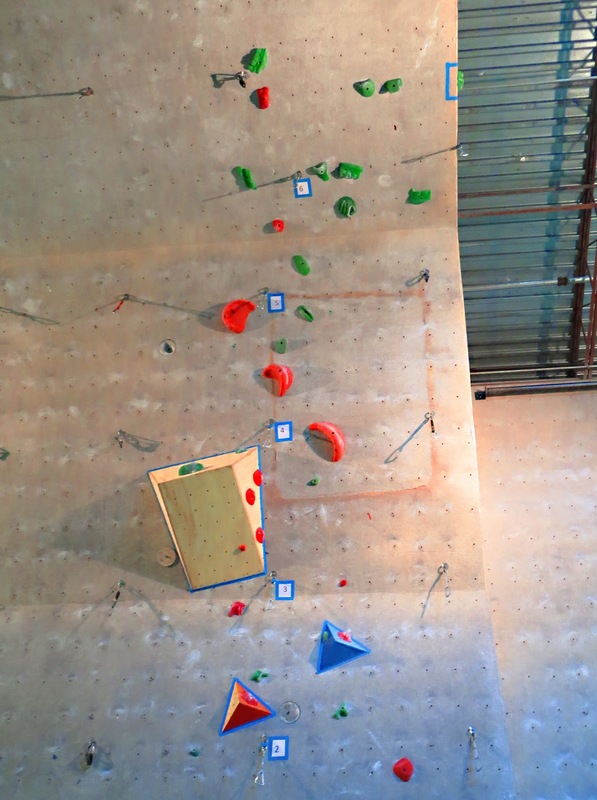 Using Revolution’s All-Star XXL set, climbers would have to throw their heel over the volume in order to progress through this large pinch section. I would eventually get to the roof; I wanted a long powerful roof section to showcase how strong these girl climbers were, but by the time I got up to that section, I was mentally wasted, frustrated from taking so long to get to that point and exhausted from sitting in my harness too long. I will admit, I gave up; I quickly finished the sequence out to the edge much sooner than I had hoped. 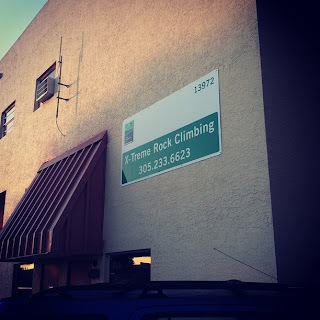 My inexperience at this type of setting made me feel less accomplished and I knew that I was going to have to step up my game if I wanted to continue being a routesetter for USA Climbing. My other weakness was my current climbing ability. Yeah, the first day, I was fading because of jet lag, but I could only go from clip to clip, and many times was too pumped to clip anyway. My climbing became not only a hindrance to myself, but my fellow setters who were relying on me to climb and present where tweaks needed to be made. By day three, my confidence was pretty much gone; I knew I had set good routes, that the movement wasn’t what stopped me, just my ignorance towards everything that was needed to set efficiently. Words of encouragement from Molly, who I looked up to not only as a setter, but a woman, kept me upbeat, along with great amounts of cuban coffee. Competition day one came about, which was actually amazing because other than being “in the jump” (meaning I was harnessed up and prepared for spinners), I could finally relax a little and enjoy watching my hard work come to life with dozens of climbers everywhere scaling the walls. Although I wanted to continuously watch my routes, it was actually more important for me to watch the Youth C kids, as they would be climbing my finals route. I was looking for how well everyone was climbing; if it seemed like they weren’t climbing as strong, I would need to tone it down, but if there were many flashes, I would have to work to separate the field (basically make sure that my finals would have to be extremely progressive to break the ties). 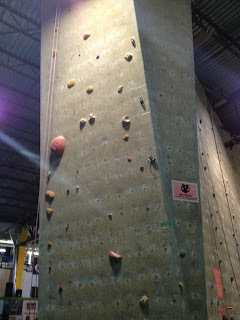 Qualifier one went great, and I learned a lot about the differences between little boy and girl climbers. The girls climbed carefully and extremely technical, making sure their placement on foot chips was correct before advancing from move to move. On the other hand, the boys were stronger, but their technique was a little sloppier, relying on their strength rather than technical skill. Overall, I think it was a success. Qualifier two would be a huge eye opener of mistakes that I made that I could reflect on. In the entire competition, we under estimated the strength of the Youth B girls; I think they were the strongest category out of all the girls. Six of the girls would end up flashing both their qualifiers, and I was disappointed because I had more pressure on Ray, who set the finals route for the B girls (Juniors would not end up being too big of a deal because there were only a few girls so everyone qualified for nationals). I told myself in my head, if I hadn’t quit on that roof, if I had set a few more moves, I might have broken the ties a bit better. Once qualifiers were over, you would think we would get a nice night’s sleep but remember, I still had a finals route to put back up. We would brief together and look at the results so far, looking for ties and discussed how to break them up. For mine, I was confident in my tweaks; I made the Egg more positive and the move up to it a bit easier. I worked my way climbing the route again (boy I need to work out...) and felt that the sequence was hard but good, I could do the move to the Egg with ease, but you had to move to it static. They’re smart, they will totally static it. The rest of the route I had fallen differently on every time I climbed it, so I figured the rest was perfect enough. Finals arrived, and isolation and the gym filled up with excited climbers and anxious parents. I learned quickly that not only did I need tough skin for the setting portion, but I needed to let negative criticism bounce off my back too. I stood by my route with a list in my hand of the climbers that were going on my finals, and I had to make notes; if there was a tie that wasn’t broken, I had to immediately report to Molly because we would have to find a super final. I’m not a parent, but I can completely understand that the last thing that they are thinking of it how cool their route looks or how great the sequence looks. They are looking for every flaw, every move that they think is too reachy, or too hard, because they love their kids and they want them to do well. I struggled not to become frustrated. Didn’t they know how hard I worked on this? Didn’t they see how tired I was? But it wasn’t about me. This was their day and I knew I had given them a good route; it was up to the kids and how hard they worked for it. The girls would go first, and like the Youth D girls from my previous qualifiers, they would climb with technical finesse. Climbing more static, about half the girls would make it at least one move past the Egg, but only a small handful would make it to the arete, and, unfortunately, the highpoint of the entire day. I was already stressed because the Egg was knocking a lot of people off. I wanted to shout beta because I had set a wonderful sequence at the top that I wanted to see demonstrated! Maybe the boys would end up bringing their strength to the game and we could see it! But no. A few would fall within the first twelve moves, and few would make it all the way to the arete, but most would fall at that stupid Egg. One by one, throwing for it, instead of moving slowly. I wanted to kick myself; another hour clockwise and it would have been positive enough to get these kids past this now apparent cruxy move. It would only be an unfortunate foot pop that would break my tie and save me from the super final. There would be two super finals for other routes, and everything worked out in the end. So what did I take from all of this? I need to climb more. I really need to climb more. 10º clockwise can make all the difference. I really really need to climb more. Keep reading for more insights straight from the Crimp Chronicles staff!